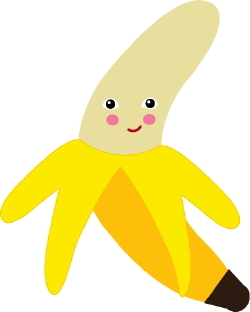 Clip art of a happy, smiling banana that is half-peeled. 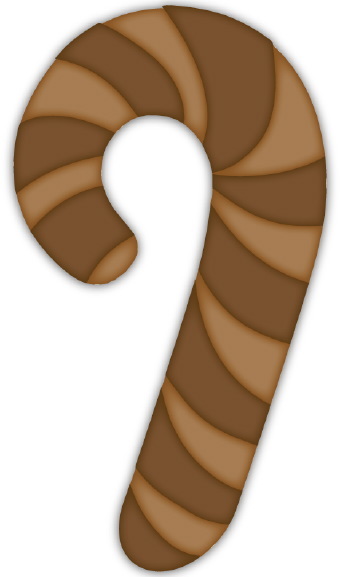 Clip art of two delicious Christmas candy sticks: one with black and red stripes, one with white and red stripes. 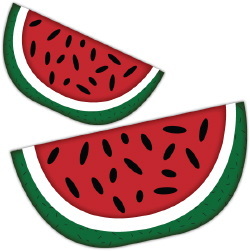 Clip art of two big slices of ripe red watermelon with black seeds in a bright green rind. 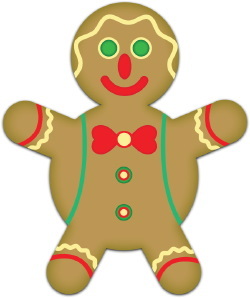 Clip art of a tanned round gingerbread man decorated with a bright red bow and green, yellow, and green icing. 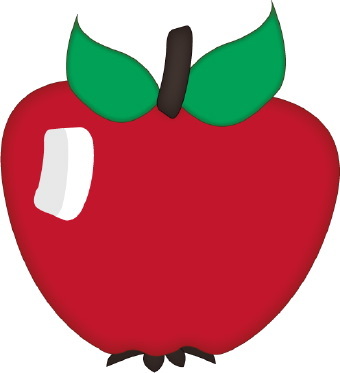 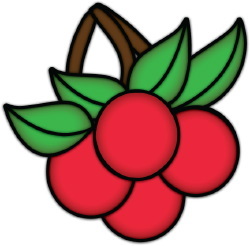 Clip art of a big red ripe apple with green leaves. Clip art of cluster of colorful red ripe cherries with brown stems and green leaves. 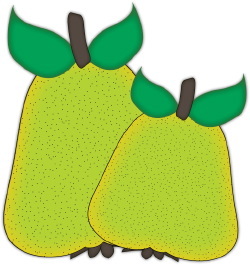 Clip art of a pair of colorful speckled green pears. 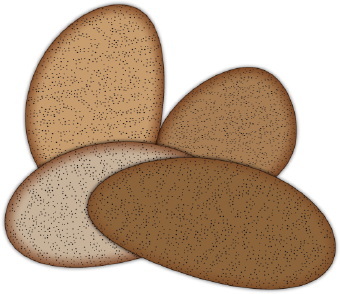 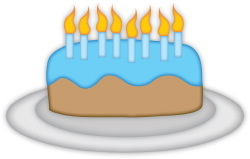 Clip art of four round brown potatoes. 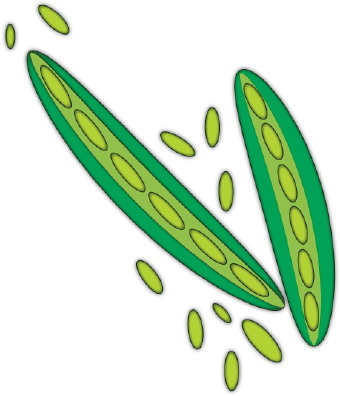 Clip art of two green pea pods and peas fresh from the garden. 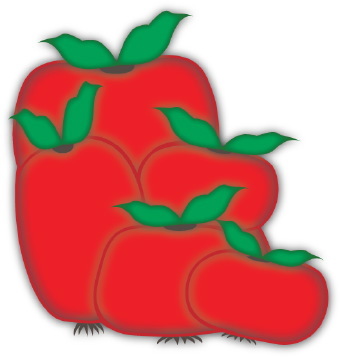 Clip art of a bunch of juicy red ripe tomatoes ready for the kitchen. 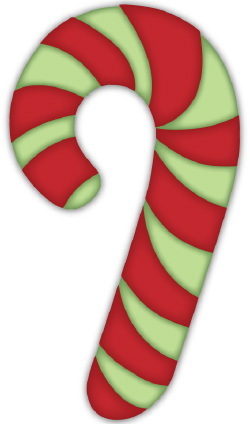 Clip art of a colorful red and green striped candy cane. Clip art of a brown and tan striped chocolate candy cane. 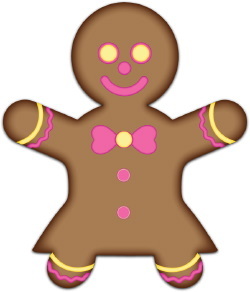 Clip art of a crispy brown smiling gingerbread girl wearing a pink bow and trimmed with pink and yellow icing. Clip art of a green striped peppermint candy cane.